The following steps create a custom action in Visual Studio 2010. 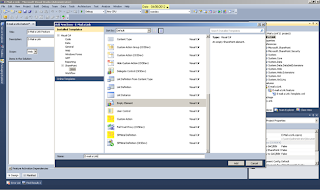 The procedures in this section assume a development environment where SharePoint 2010 is installed and configured, Microsoft Visual Studio 2010 is installed and the currently logged-in user has administrative rights on the SharePoint environment for deployment purposes. 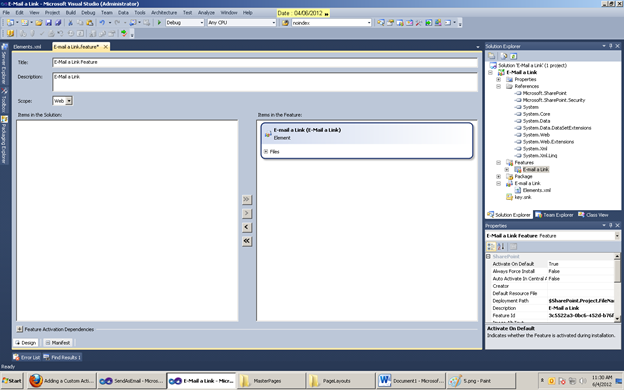 In Visual Studio 2010, click New Project, expand the SharePoint node, click 2010, and then click Empty SharePoint Project. Name the project E-mail a Link and then click OK. 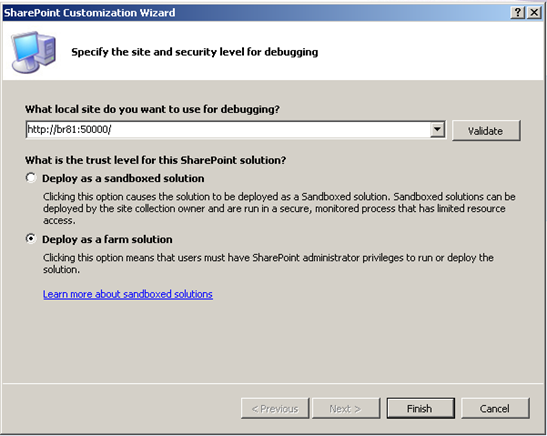 In the SharePoint Customization Wizard, select the local SharePoint site that can be used for debugging and whether the solution will be deployed as a sandboxed or farm solution as shown in Figure 1. Name the feature E-mail a Link and add a description as shown in Figure 3. 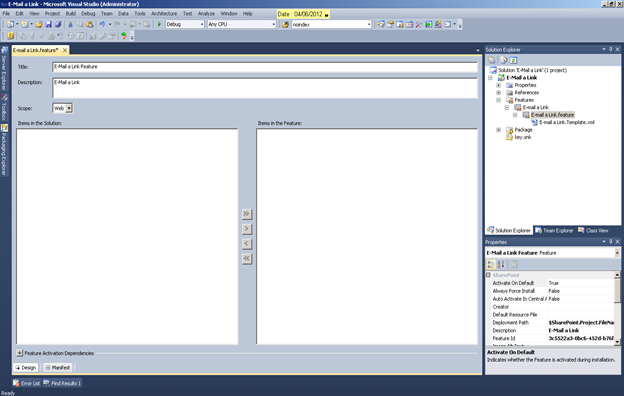 In Solution Explorer, right-click the E-Mail a Link project, select Add, and then select New Item as shown in Figure 4. Open the Elements.xml file inside E-Mail a Link and then replace the file content with the following code example. 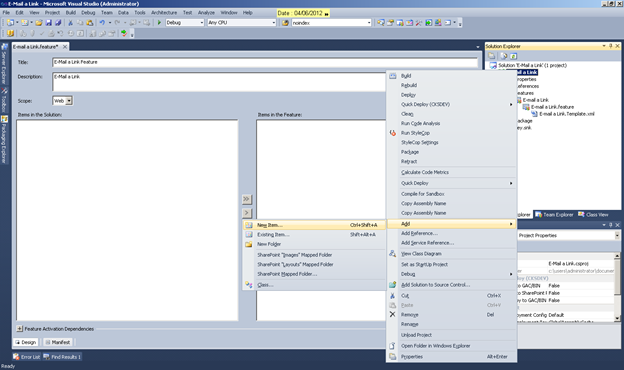 If you like to apply this E-mail a Link to all the Lists, Change RegistrationsType From "ContentType" to "List" and RegistrationId from unique number to "101"
Add the E-Mail a Link element to the E-mail a Link feature as shown in Figure 6.
feature as shown in Figure 6. 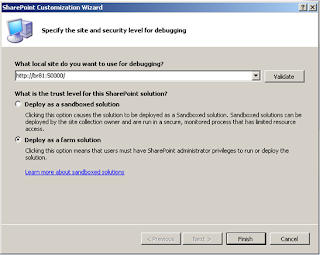 Navigate to the local site, Enable the feature E-mail a Link. Add custom and name it as Promotion list, and then Click on View Item. 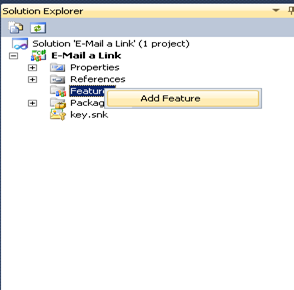 Observe the "E-mail a Link" under the Action Group as shown in Figure 8. Click the "E-mail a Link" button and notice the default Email application open with the link to this item.